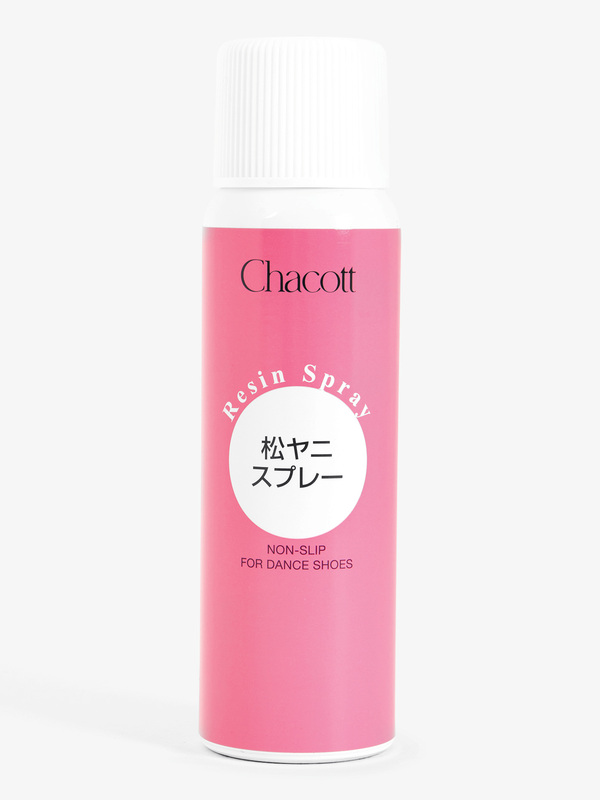 Latest Dance Shoe Accessories for sale online in a variety of styles including pointe shoe glue, gel pads, and more. 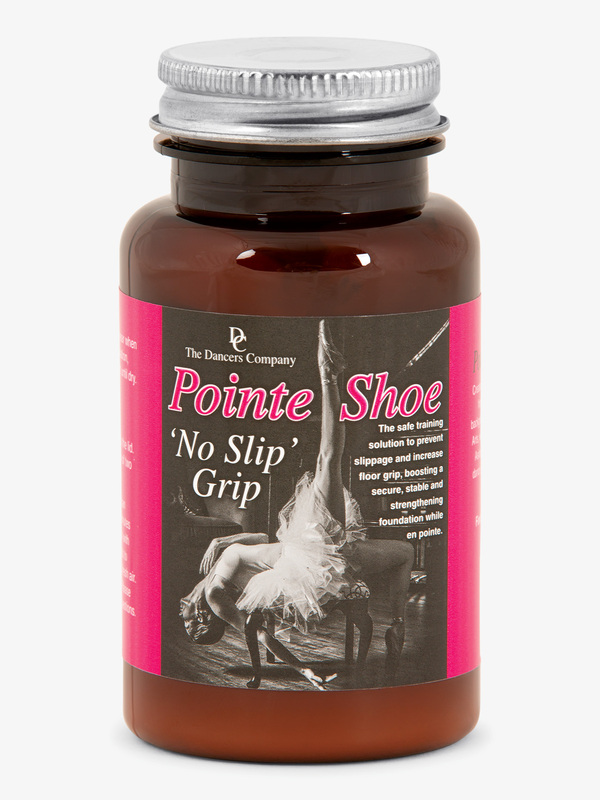 Dancers Company No Slip Grip Pointe Shoe Paste NOSLIP: The Pointe Shoe Â‘No SlipÂ’ Grip is a solution applied to the box of the pointe shoe to prevent slippage, increase floor grip, and boost a secure, stable and strengthening foundation while working en pointe. 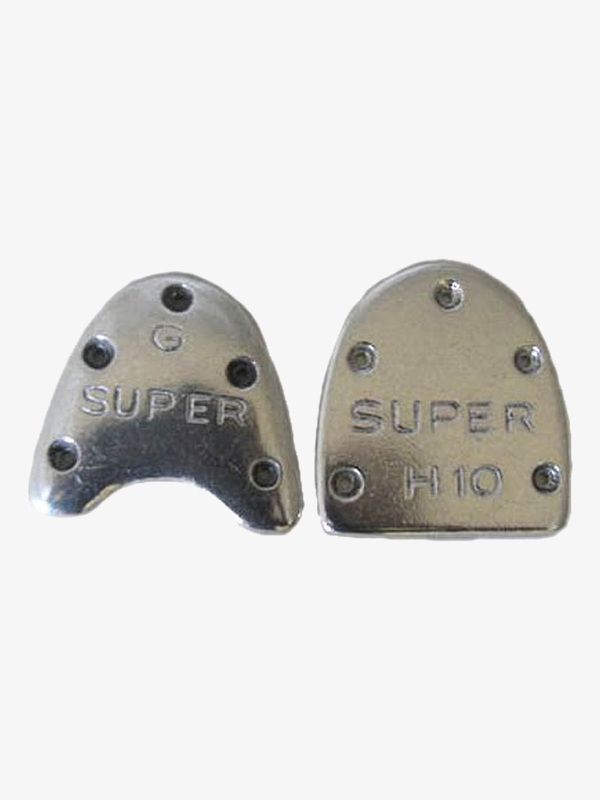 This product is also used by dancers of all levels to obtain better friction as well as extending the life of the shoe by incremental cushion controlled by the application. 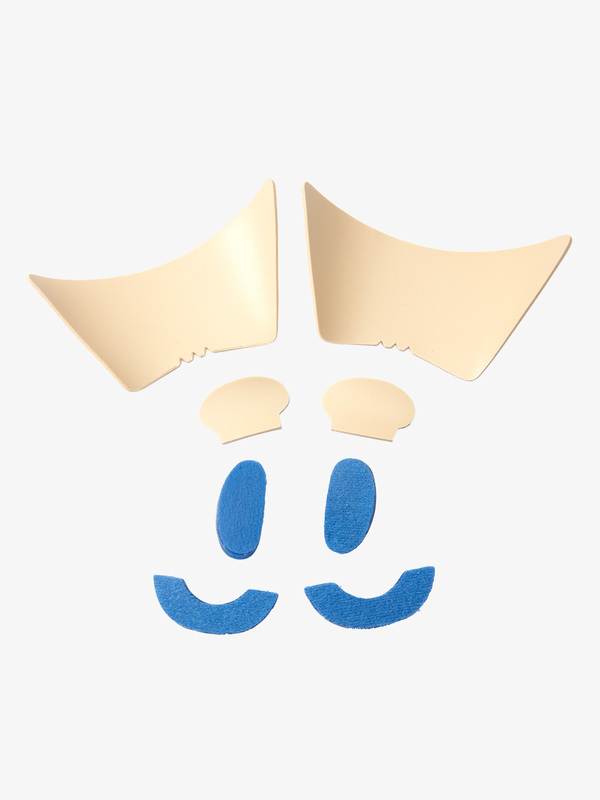 Dancers have complete management over how much or how little Pointe Shoe Â’No SlipÂ’ Grip solution is used.Size: 4 oz. Daniels 1 oz. 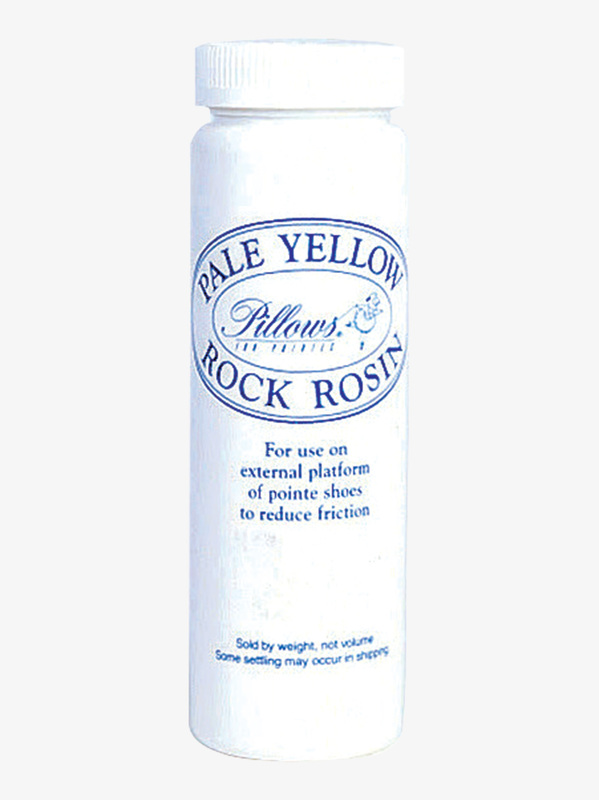 Pointe Shoe Glue PSG1: Ballerinas finally have a product that is specifically designed to repair, restore, and renew dead pointe shoes. 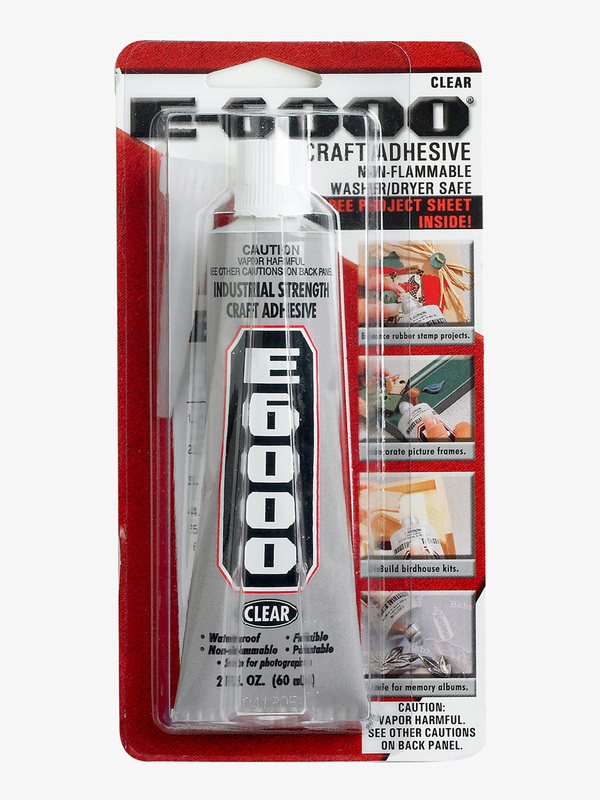 This extremely strong yet light and flexible glue immediately repairs and hardens a weakened area of the shoe. 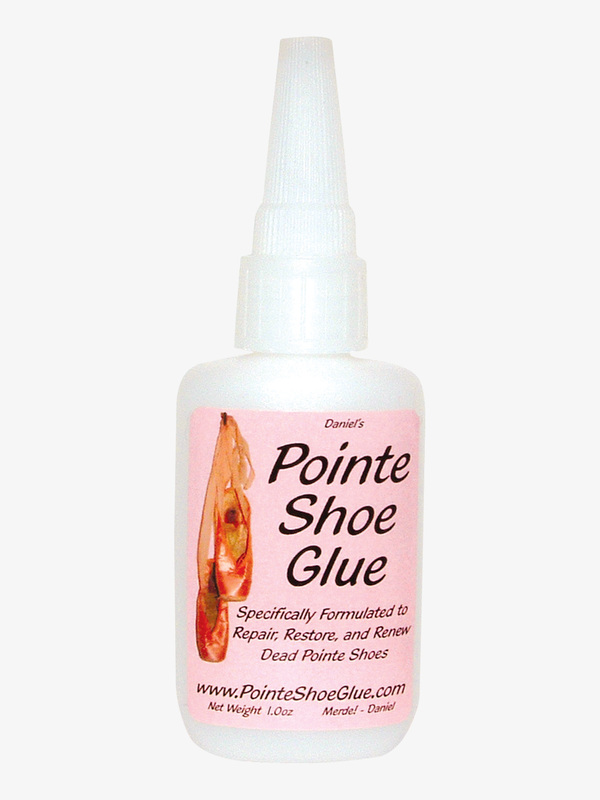 Extend the life of your shoes and save money with Daniel's Pointe Shoe Glue. Danshuz Super Taps ST: Super Taps are quality screw on taps. For correct tap sizing or to learn how to place the taps on your shoes, please call customer service or consult our tap fitting guide. Tap sizing is specific to the style # of shoe you are fitting them to. Taps are priced per pair of heels or toes. You must specify heels or toes when ordering. To order both heels and toes, add both items to your shopping cart. Heels and toes are specified by choosing the appropriate size. Discount Dance Supply 2 oz. 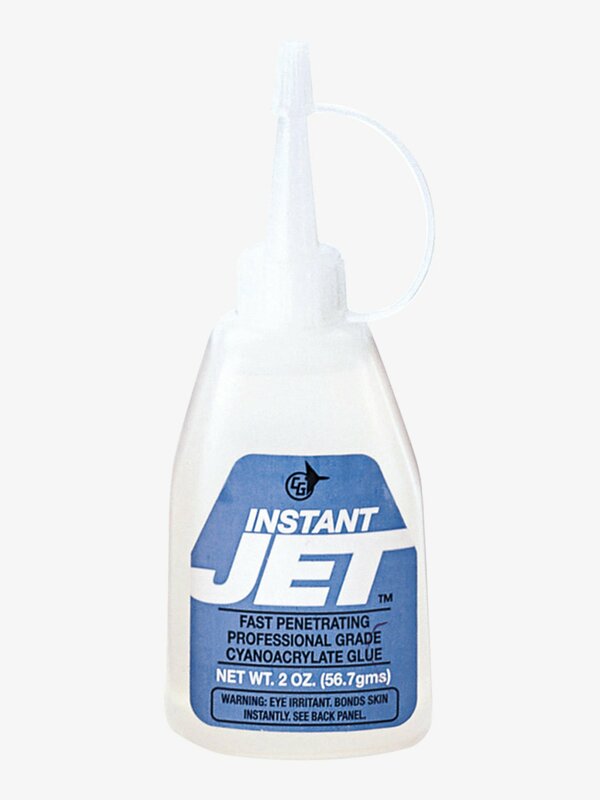 Pointe Shoe Box Glue JET764: Get the most life possible out of your pointe shoes with Instant Jet pointe shoe box glue! Extremely hard yet fast drying, this glue is used to re-harden the toe box and repair the shank, increasing the longevity of your shoes. 2 oz. 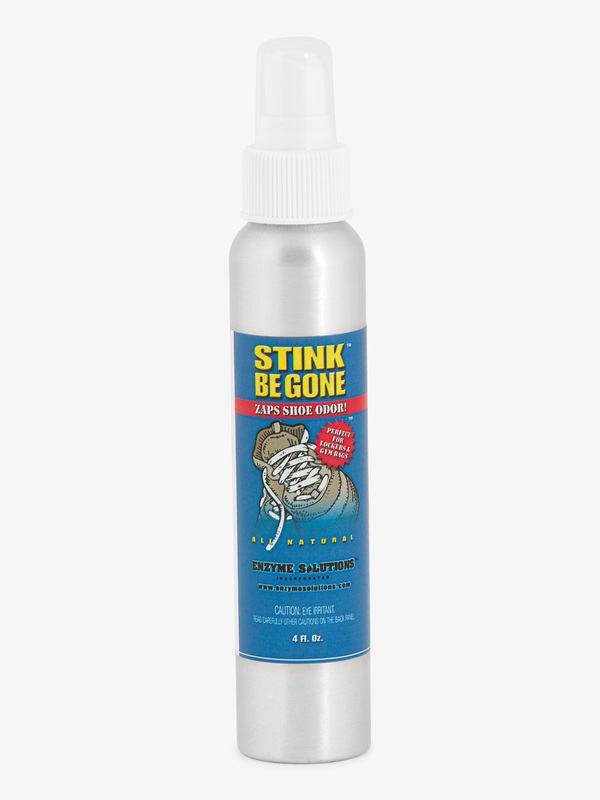 Enzyme Solutions Stink Be Gone Shoe Spray 4000130: Say bye-bye to pesty odor with the Stink Be Gone-inch spray by Enzyme Solutions. Stink Be Gone-inch is a natural shoe deodorizer that attacks the source of odor and eliminates it within seconds - no more embarrassing after class smell! 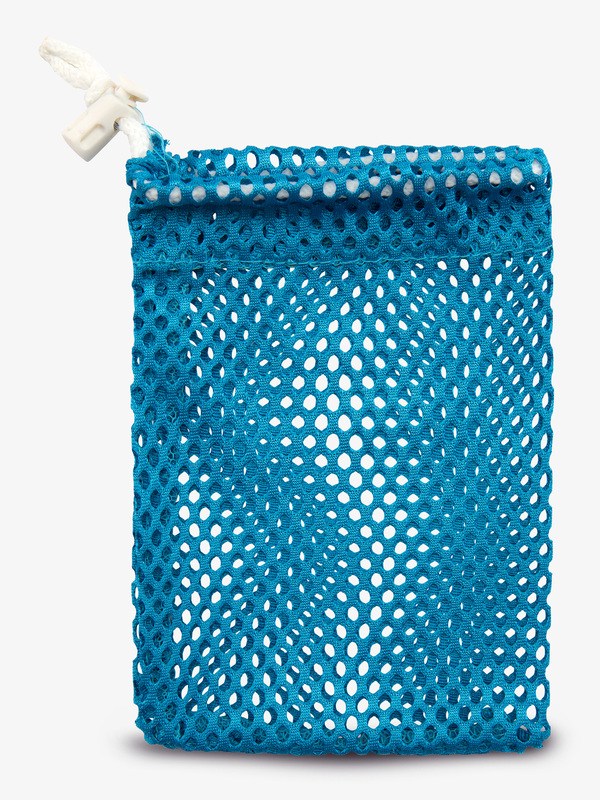 Also great for spraying in dance bags, lockers, closets and more. Spray is fragrance-free.Size: 4 oz. 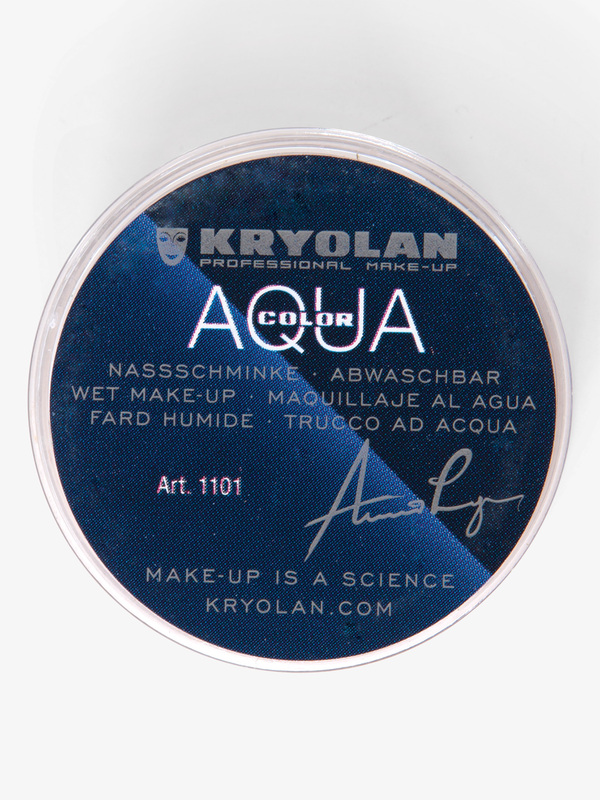 Kryolan Toe Shoe Makeup 1101KTS: For years, ballerinas worldwide have applied Kryolan aqua color with a slight pale pink tint to their toe shoes to cover the shiny-inch satin material. 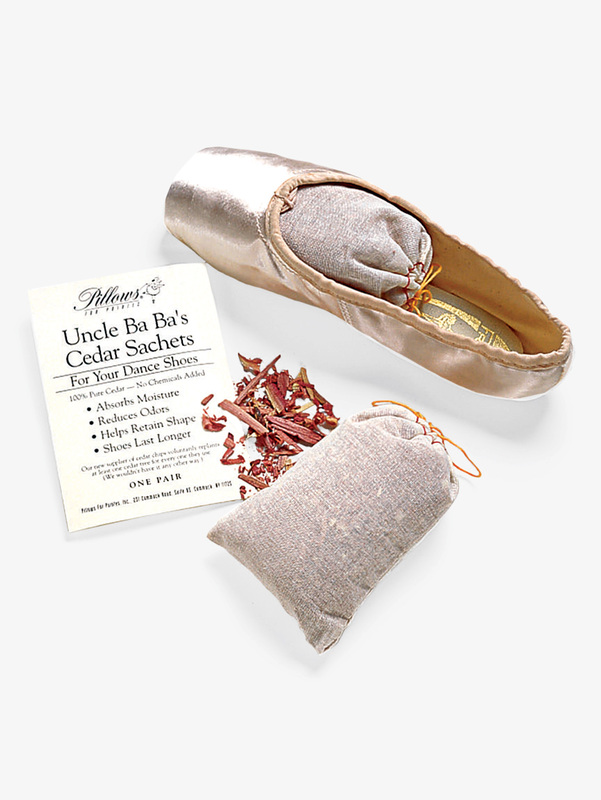 Now you can apply the same magic-inch to your pointe shoes. All sales are final.Size: 0.5 oz. 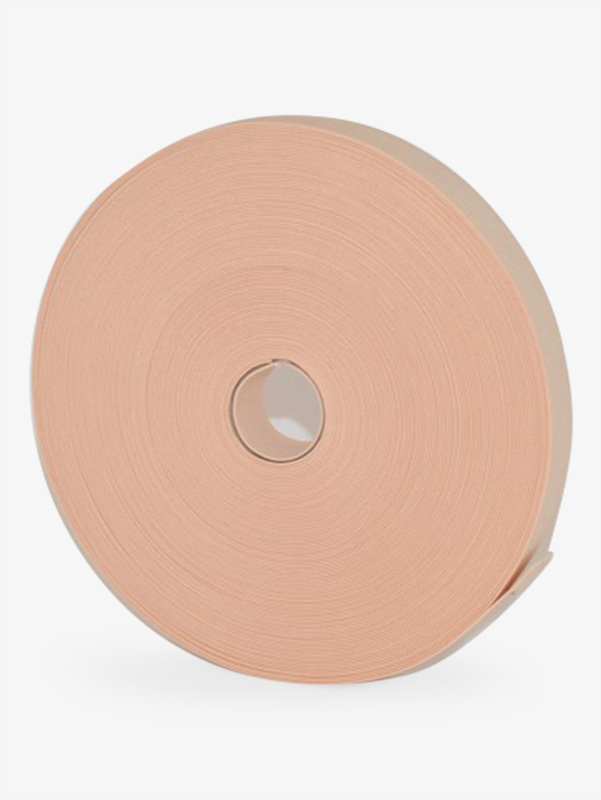 Bloch Soft Satin Ribbon Roll A0191: A bolt of superior quality satin finish ribbon on both sides. Size: 30 Meters. 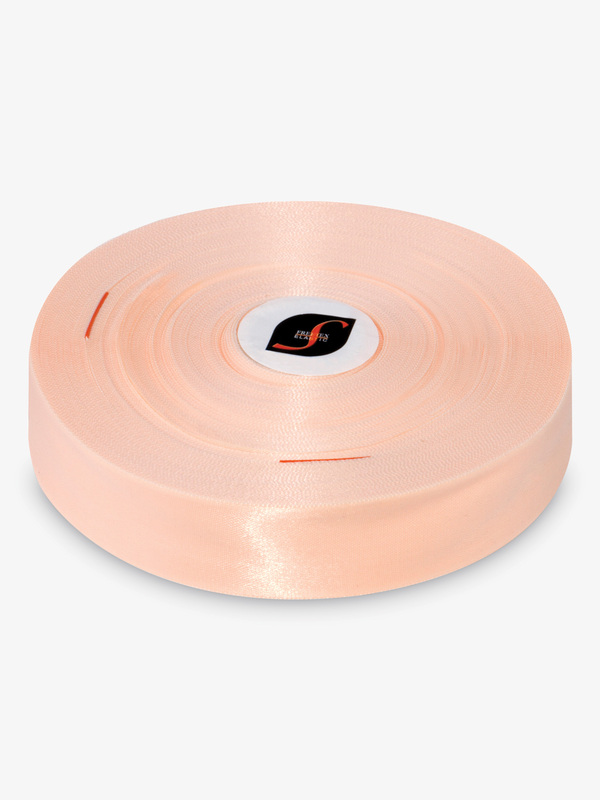 Bloch Stretch Satin Ribbon Roll A0193: A bolt of classic looking satin stretch ribbon that allows for the natural flexion and extension of ankle and heel. 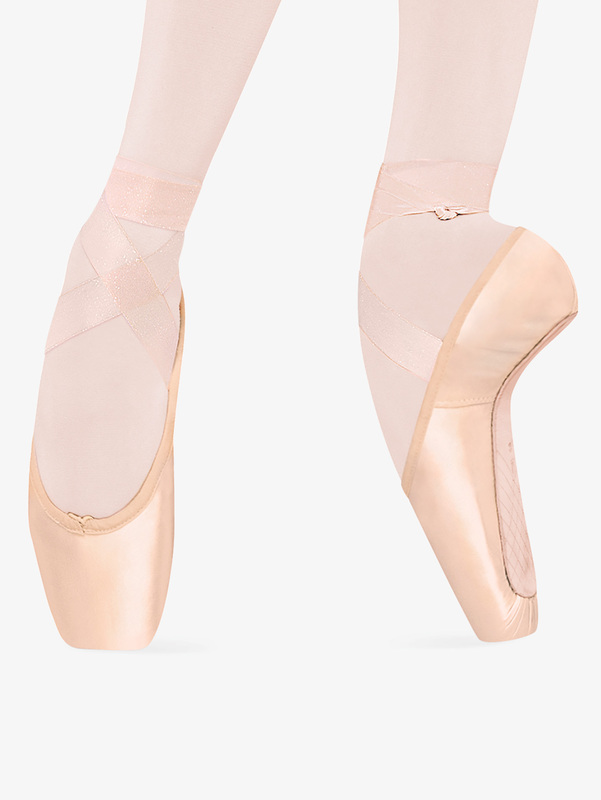 Stretch ribbon relieves unnecessary stress on tendons and allows the dancer to move from plie to pointe with minimal constriction and no bagginess. Size: 31 Meters. 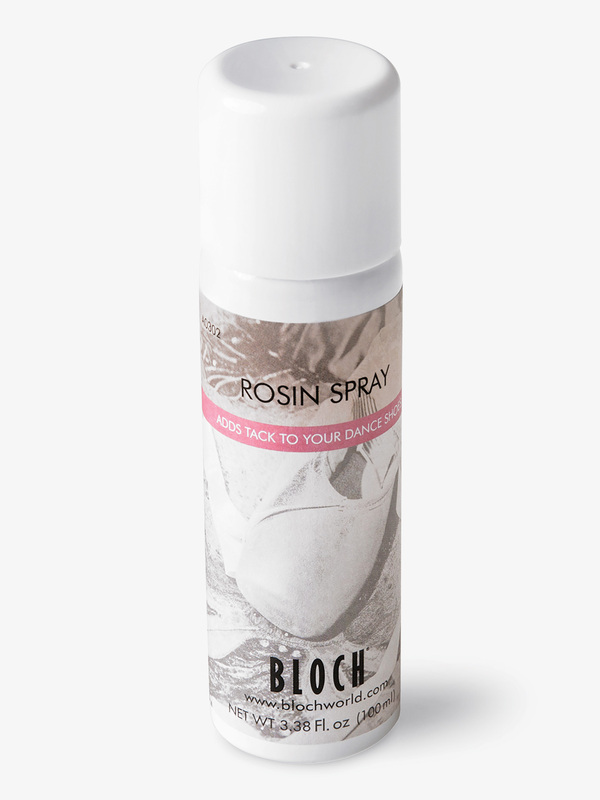 Bloch Rosin Spray A0302: Non Slip Professional Resin in an easy spray adds friction between the shoe and the floor increasing the grip of the feet. Provides excellent tack. Bloch Stretch Satin Ribbon A0528: Classic looking satin stretch ribbon that allows for the natural flexion and extension of ankle and heel. 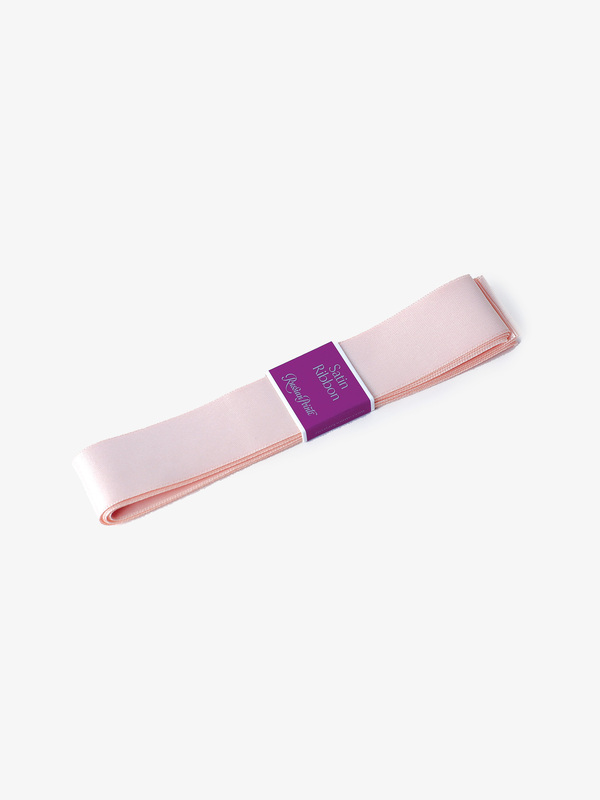 Stretch ribbon relieves unnecessary stress on tendons and allows the dancer to move from plie to pointe with minimal constriction and no bagginess. Size: 2 Yards. 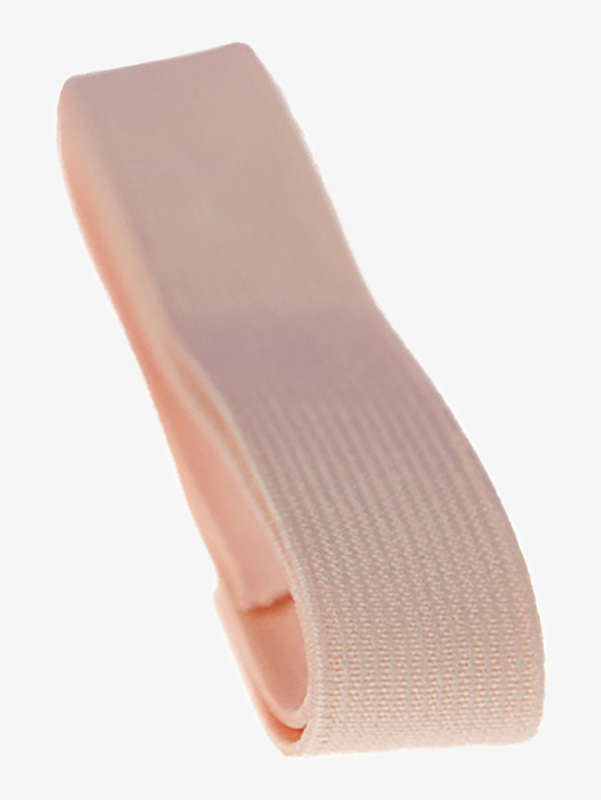 Bloch Sheer Stretch Ribbon A0529: Nearly invisible sheer stretch ribbon that allows for the natural flexion and extension of ankle and heel. 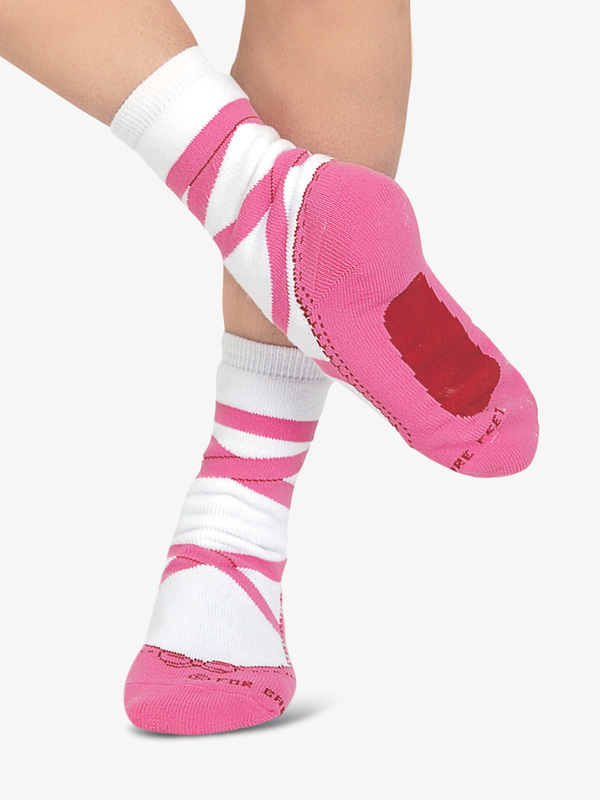 Sheer stretch ribbon relieves unnecessary stress on tendons and allows the dancer to move from plie to pointe with minimal constriction and no bagginess. Size: 2 Yards. 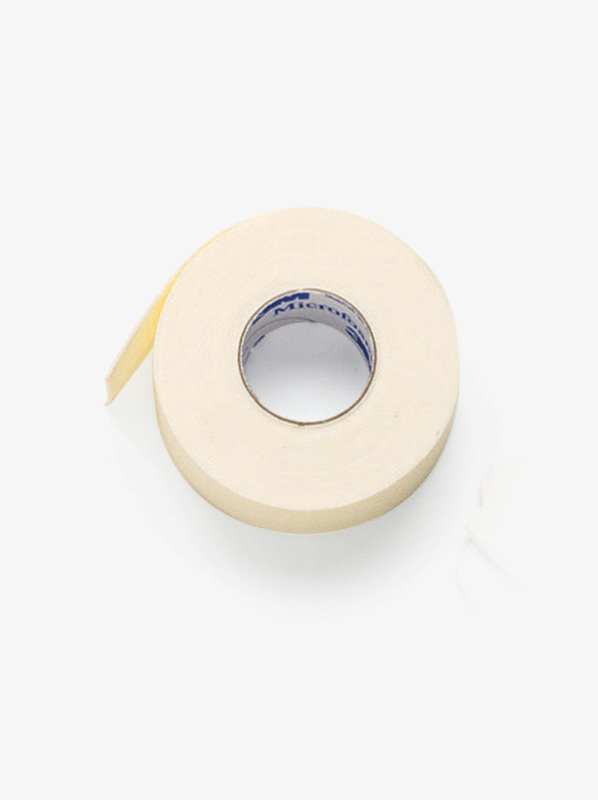 Bloch Double Face Soft Ribbon A0531: Superior quality satin finish ribbon on both sides. Size: 2.5 Yards. 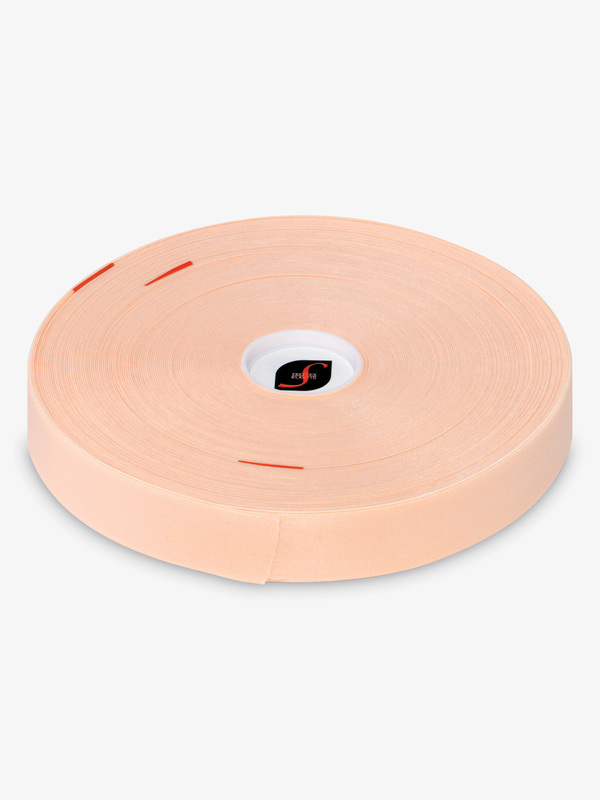 Bloch Double Face Soft Elasto-Ribbon A0532: Ultra soft double satin faced ribbon with elastic sewn into the length to relieve tension and strain on the Achilles. 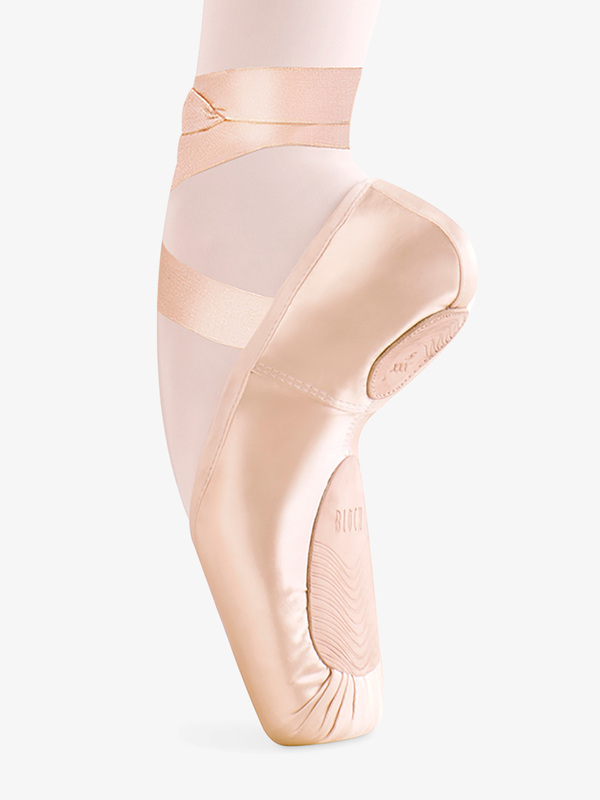 Elastorib allows the dancer to move from plie to pointe with minimal constriction and no bagginess. Size: 25 Inches. 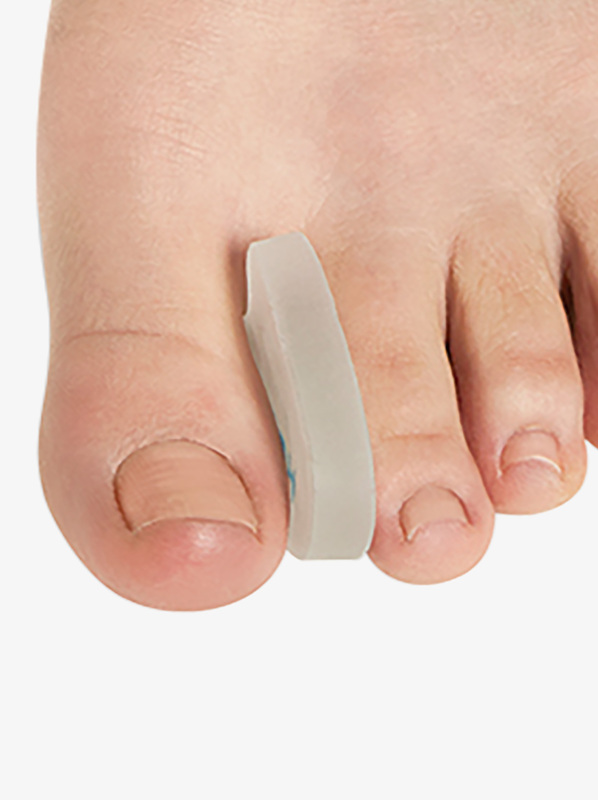 Bloch Jumbo Toe Spacer 4-Pack A916: The Bloch Jumbo Spacer maintains proper alignment of the big toe joint to aid in the prevention of bunions. Lightly dust with talcum powder after drying. Reusable. 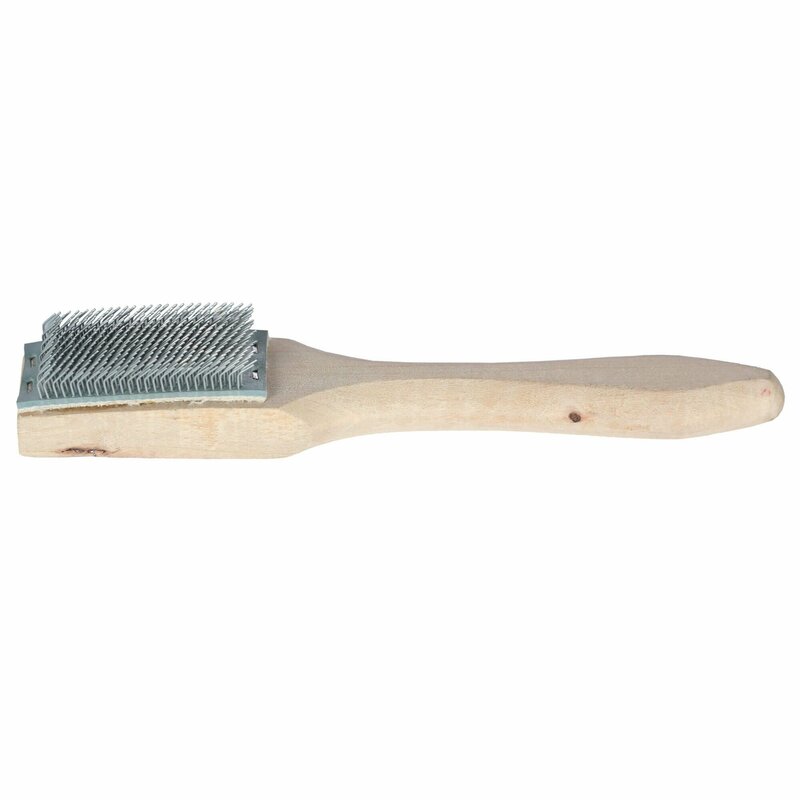 One size, but can be trimmed to desired length. 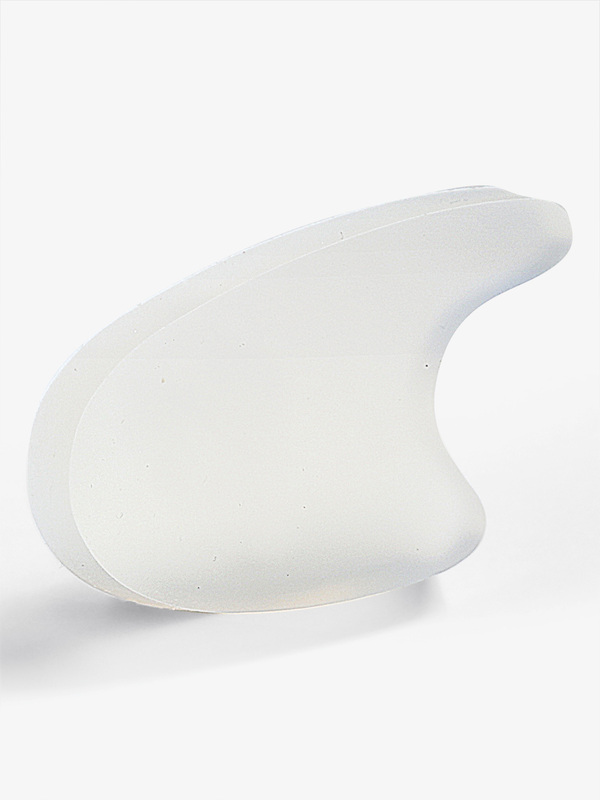 Bunheads Super Spacers BH1044: A larger version of the spacer made with a firmer silicone gel. Place a super spacer between the first two toes to align the big toe with the big toe joint to aid in the treatment and prevention of bunions. Designed for longer toes. Contains 4 super spacers. 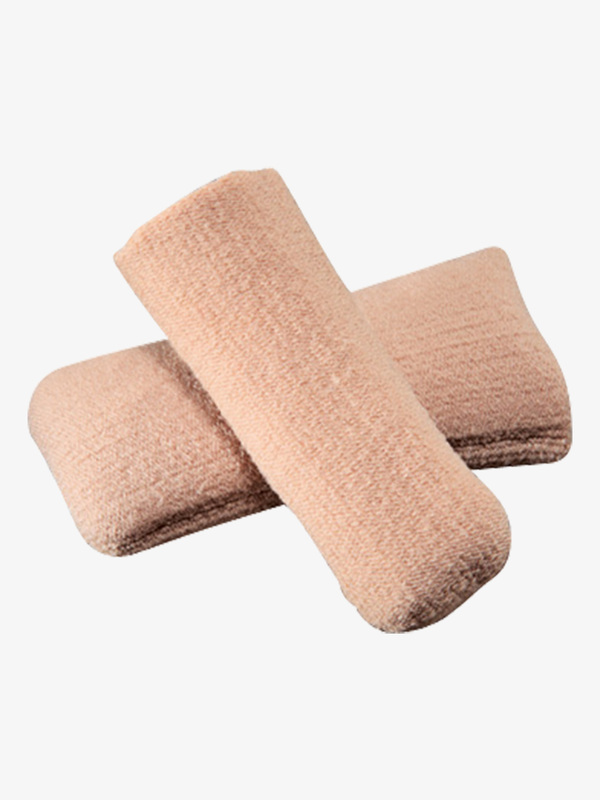 Bunheads Jelly Tips BH1050: This elasticized fabric tube by Bunheads is sonic welded on one end and is coated on the inside with gel to help alleviate the pressure that causes bruised toenails. Especially effective on longer toes. Should be cut to the length needed for protection. 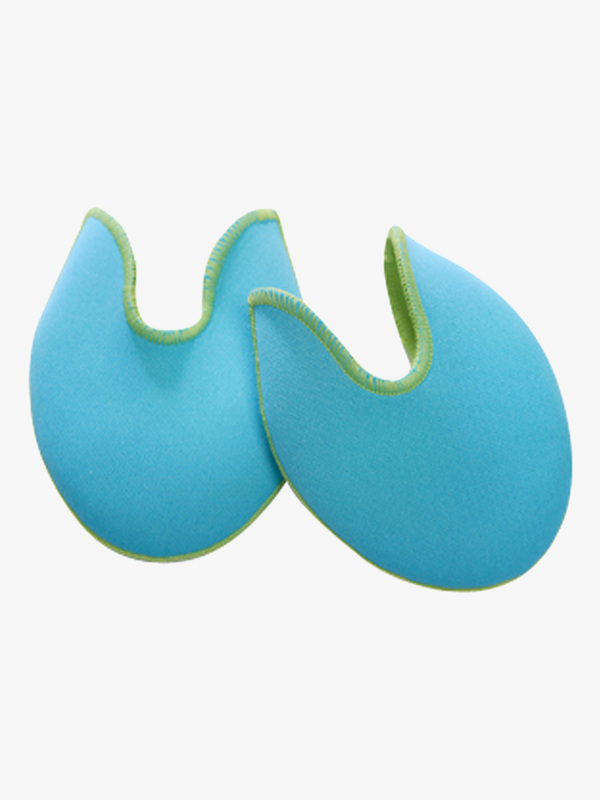 Bunheads Aqua/Lime Ouch Pouch Jr. Large BH1095AL: The Ouch Pouch Jr. by Bunheads is great for smaller or wider feet and for those who want only the toes cushioned. Approximate pointe shoe sizes 7-10. 2 per pack. 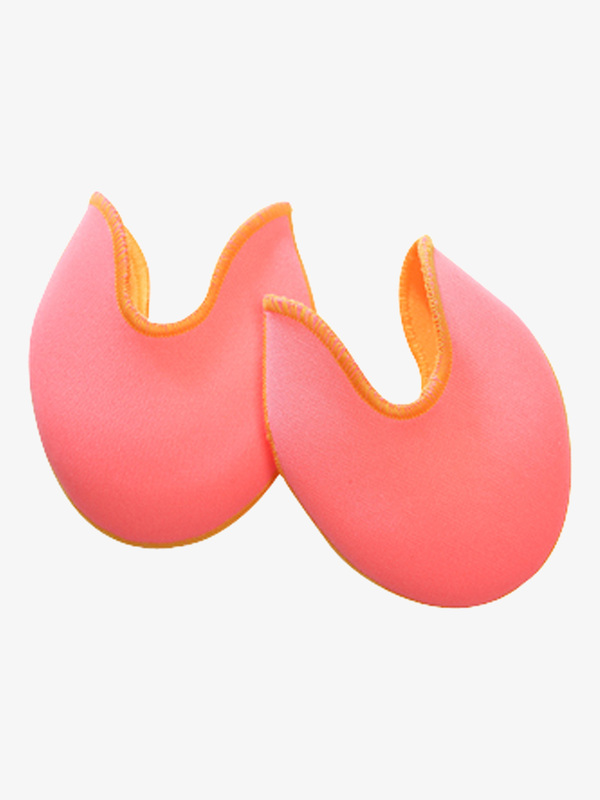 Bunheads Pink/Melon Ouch Pouch Jr. Large BH1095PM: The Ouch Pouch Jr. by Bunheads is great for smaller or wider feet and for those who want only the toes cushioned. Approximate pointe shoe sizes 7-10. 2 per pack. 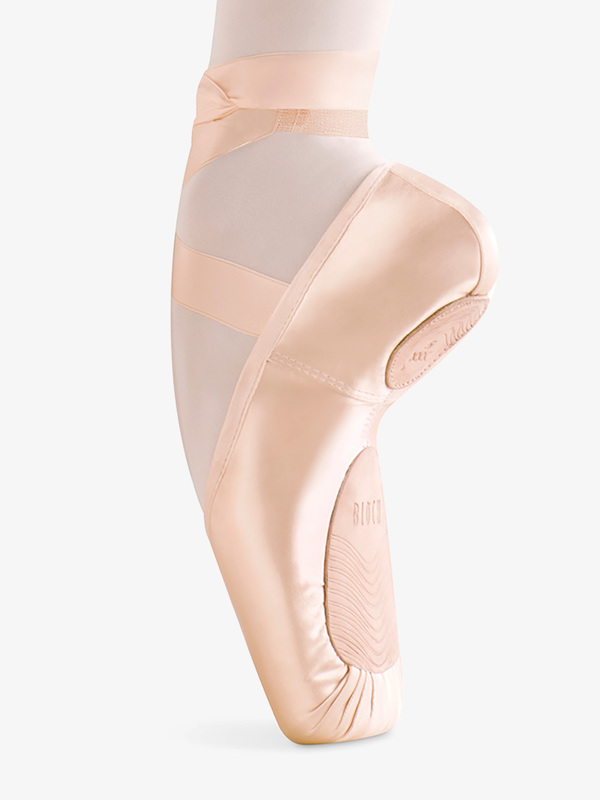 Bunheads Large Pro Pads BH1215: The Pro Pads by Bunheads are designed with no gel under the foot so the dancer has only thin fabric under the toes. A layer of gel inside a fabric-covered pouch cushions the tops and the tips of the toes. As with all of Bunheads products, the gel doesn't migrate. 2 per pack. 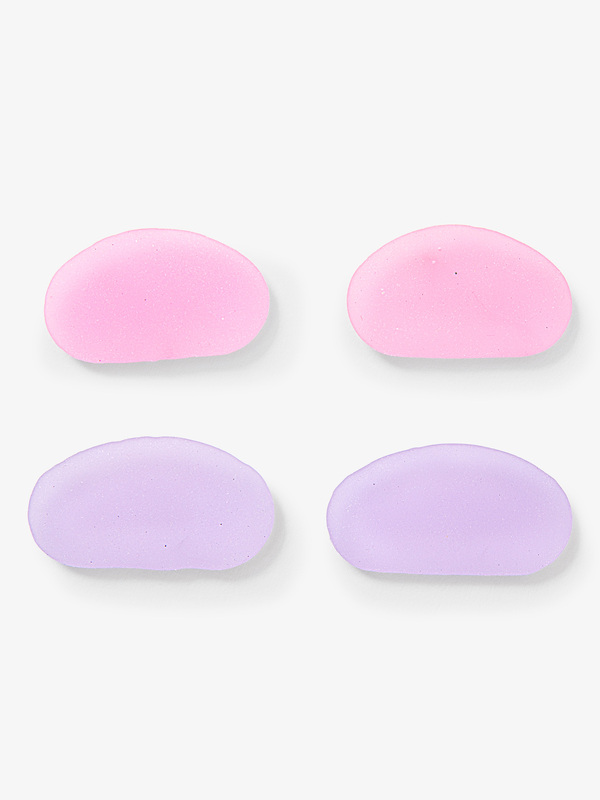 Bunheads Clear Stretch S/M Gel Tips BH1450: These gel tips offer superior cushioning, protection and relief for corns, calluses, nails, hammer toes and other problem spots. 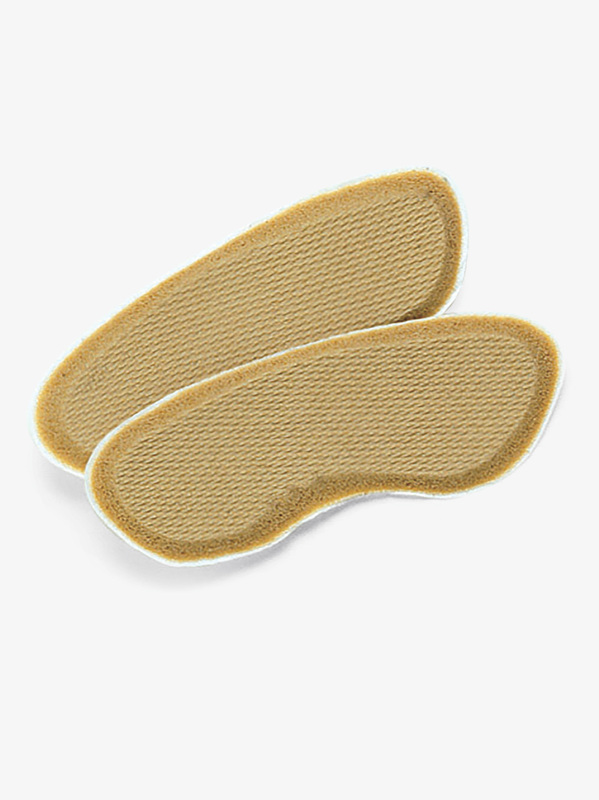 They are thin, yet provide a durable shield for sensitive toes. 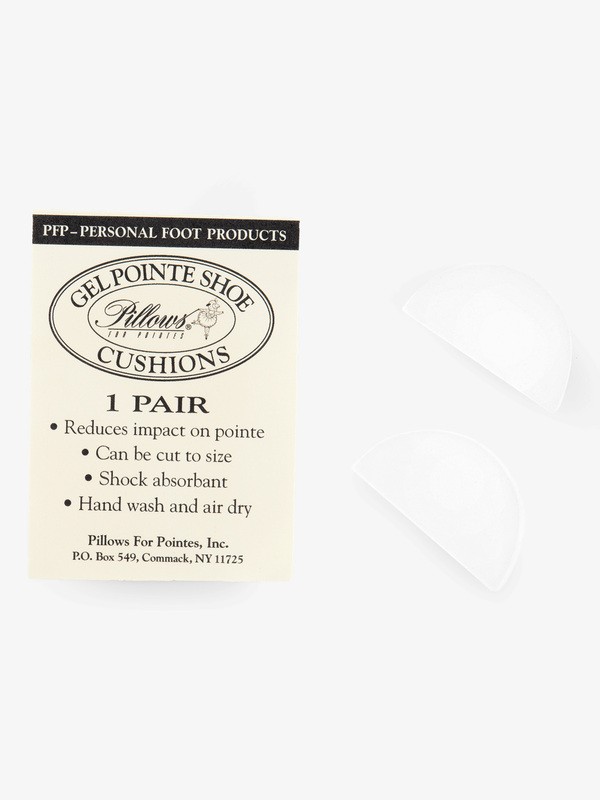 The unique comfort vent makes them less sweaty-inch than other gel toe caps. 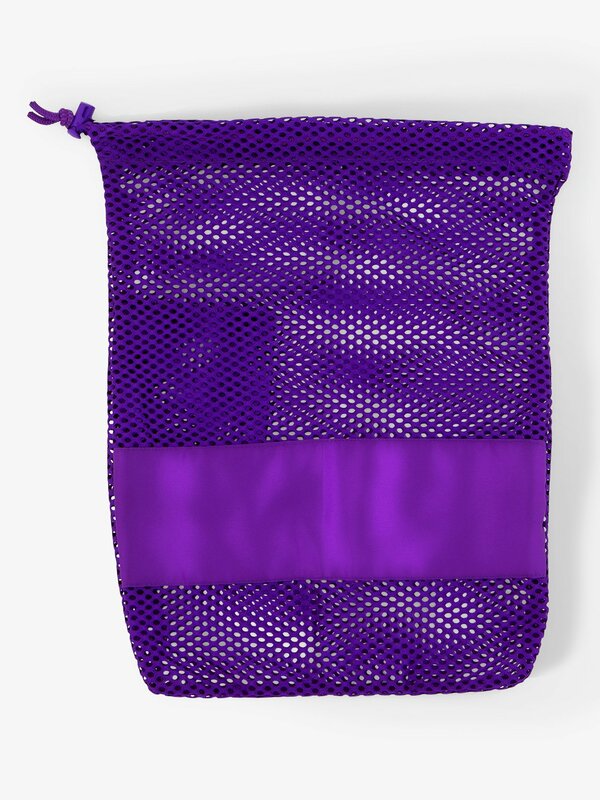 They are washable, reusable and can be trimmed to size. 2 per package. 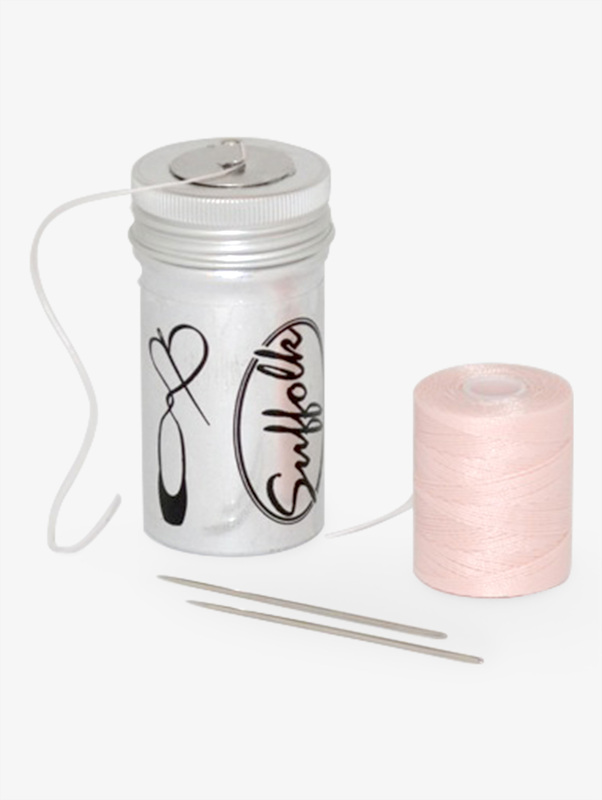 Bunheads Pointe Shoe Sewing Kit BH350: The Stitch Kit by Bunheads is a must for every dancer's bag! 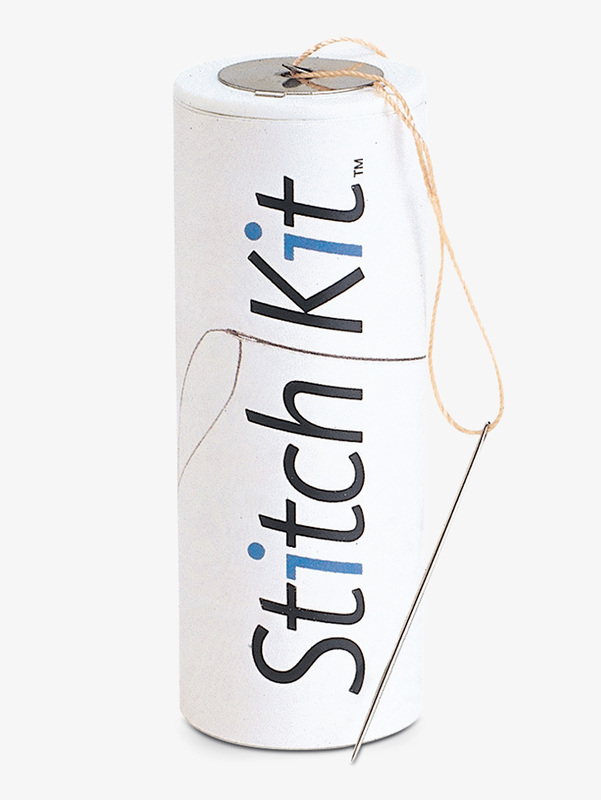 This handy container holds 75 yards of super-strong, lightly waxed nylon thread, 2 large-eye needles for easy threading and detailed sewing instructions for first time pointe shoe sewers. The accompanying pictures help the user to visualize the proper preparation and placement of ribbons and elastic. 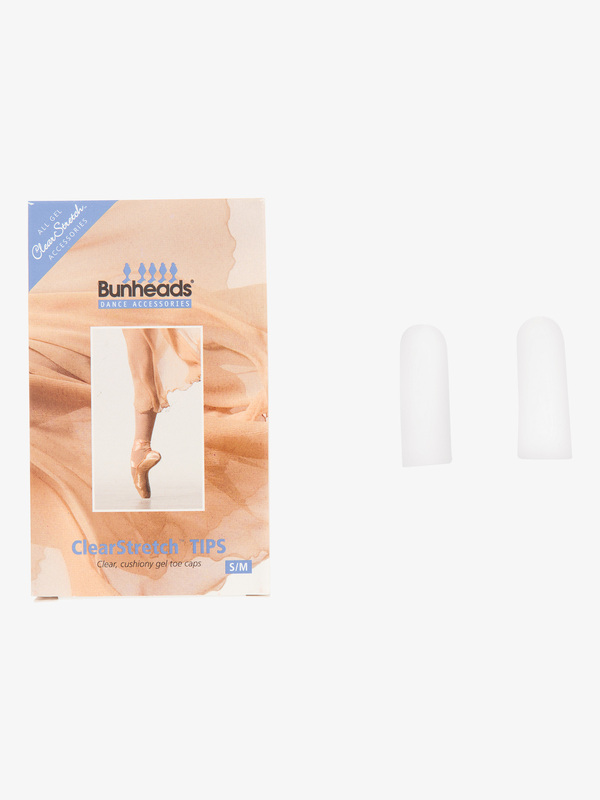 Another great product from Bunheads to help make the dancer's life a little easier! 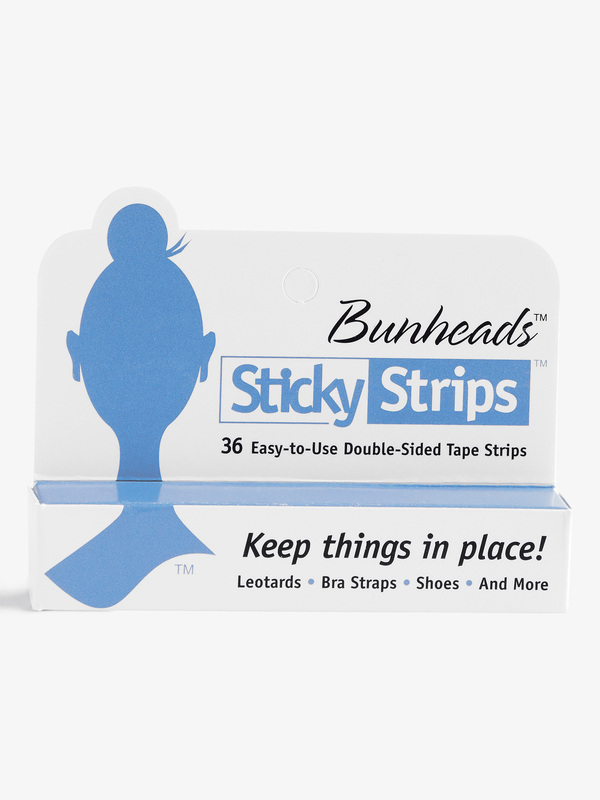 Capezio Sticky Strips Double-Sided Tape Strips BH365U: These easy-to-use, clear, double-sided tape strips by Bunheads prevent leotard and bra straps from slipping, keep costumes and socks in place, and hold pointe shoe heels on. No dancer should be without them! Capezio Teletone Taps TT: Capezio Teletone taps, sound board included. For correct tap sizing or to learn how to place the taps on your shoes, please call customer service or consult our tap fitting guide. Tap sizing is specific to the style # of shoe you are fitting them to. Taps are priced per pair of heels or toes. You must specify heels or toes when ordering. To order both heels and toes, add both items to your shopping cart. Heels and toes are specified by choosing the appropriate size. 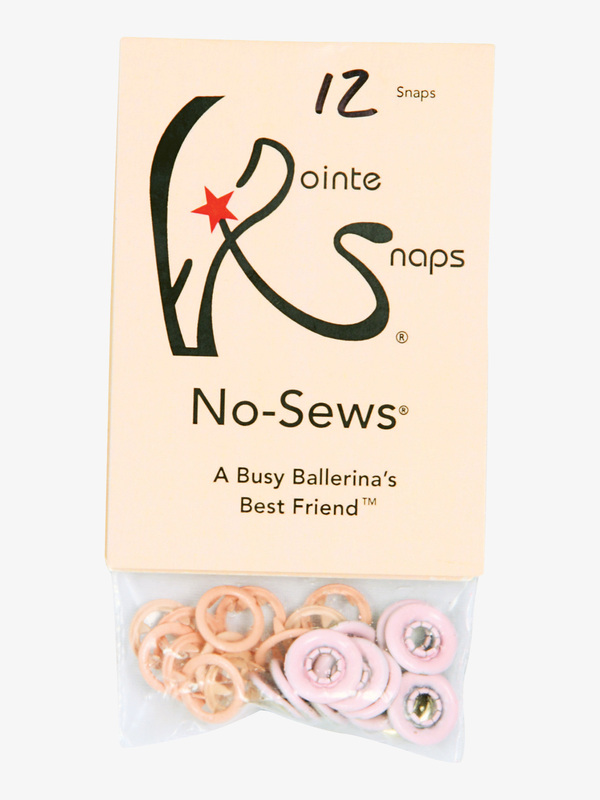 Pointe Snaps No-Sews Pointe Snaps PSNS1012: Pointe Snaps are the fast, secure, and easy way to attach ribbon and elastic to ballet and pointe shoes! A perfect learning tool for young dancers and a shortcut for all! Pliers sold separately. 12 snaps per pack. Adult assembly required. 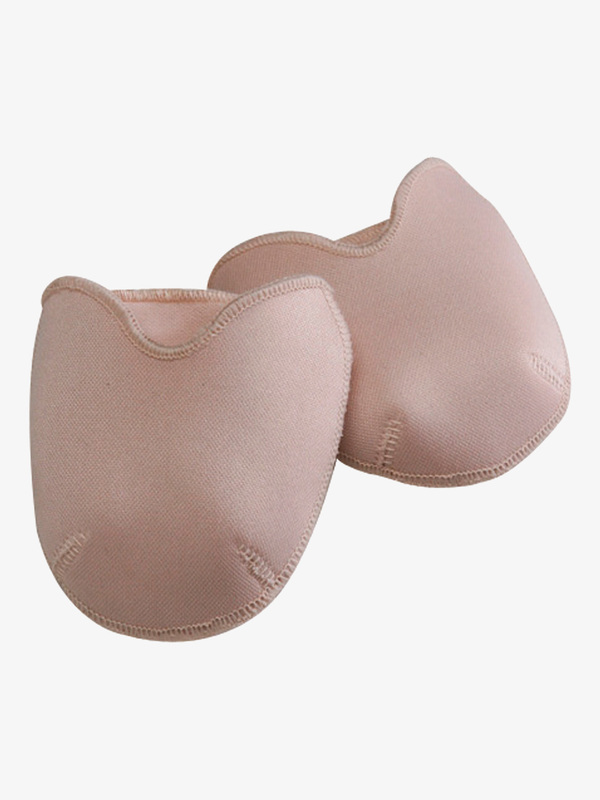 Pointe Snaps Bamboo Pointe Shoe Padding WGBBPP: Pointe Snaps Green Ballerina Products are made of all natural, organic, and non-toxic ingredients and are an environmental solution to all of your dancing needs! 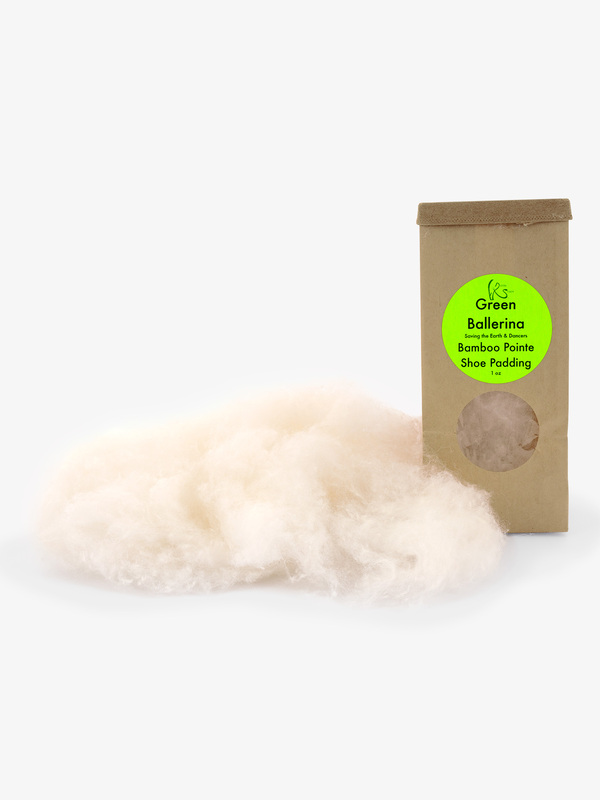 Bamboo Pointe Shoe Padding is made with 50% renewable-resource bamboo fiber that is softer than lamb's wool and naturally antimicrobial. Breathable and nontoxic. 1 oz. 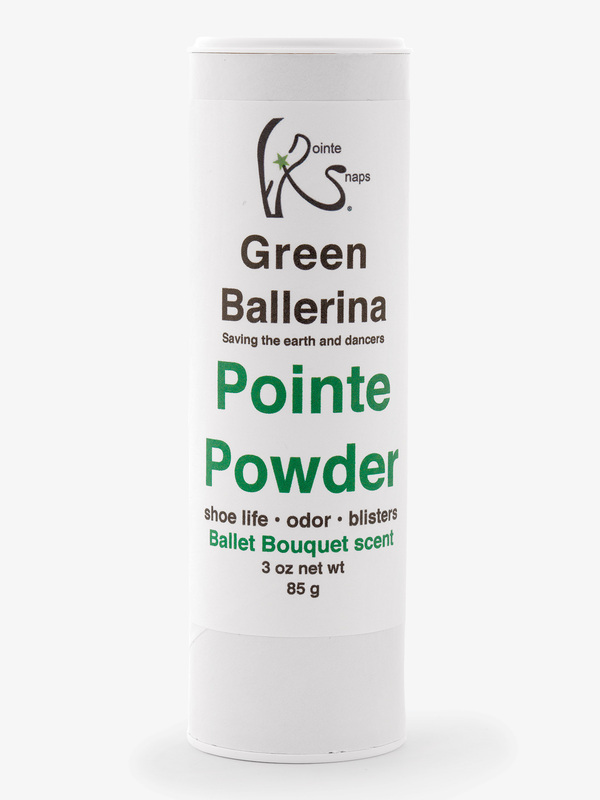 Pointe Snaps Pointe Shoe Powder WGBPP: Pointe Snaps Green Ballerina Products are made of all natural, organic, and non-toxic ingredients and are an environmental solution to all of your dancing needs! 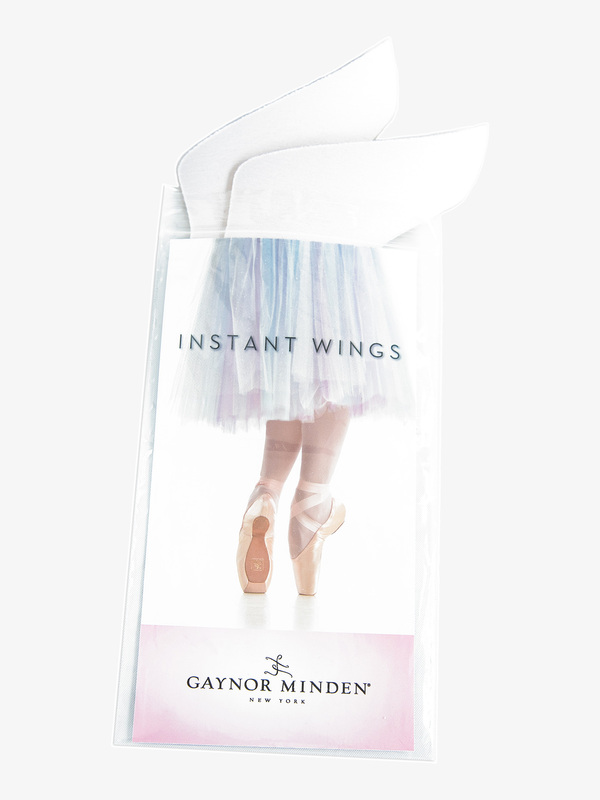 Pointe Shoe Powder is designed to keep feet and shoes dry and deodorized to extend the life of your dance shoes. Reduces friction. 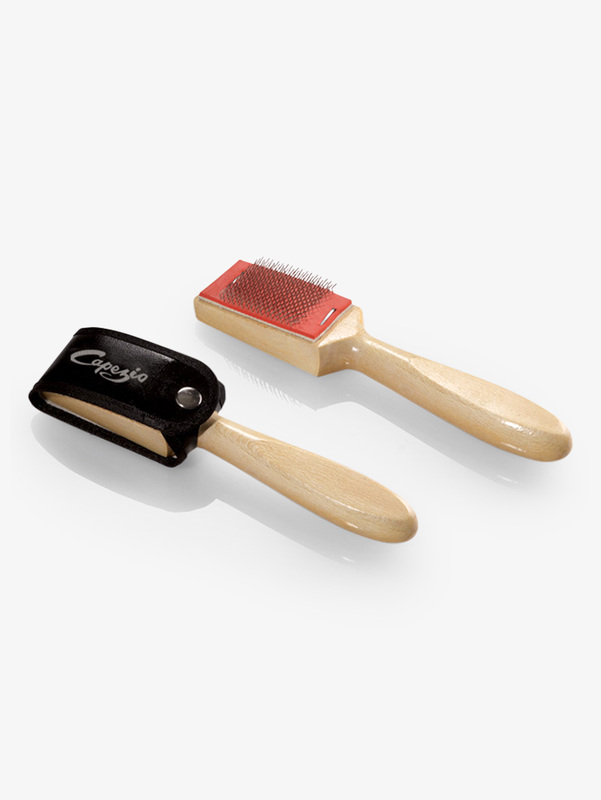 A must-have for practice or class! 3 oz. 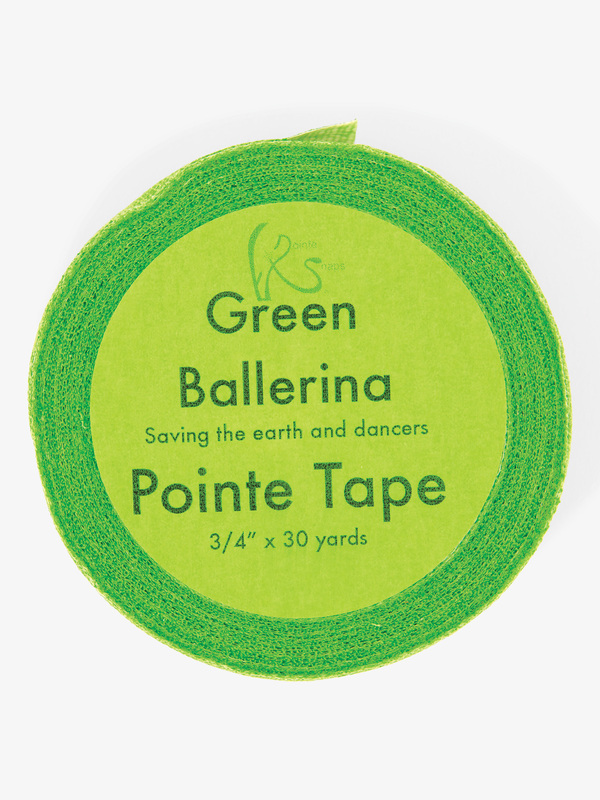 Pointe Snaps Eco-Friendly Pointe Tape 3/4 WGBPT: 30 yards of self-adhesive pointe tape is easy to tear, comfortable, sweat-proof, latex-free and leaves no residue all packaged with eco-friendly materials! Measures 3/4-inch thick. 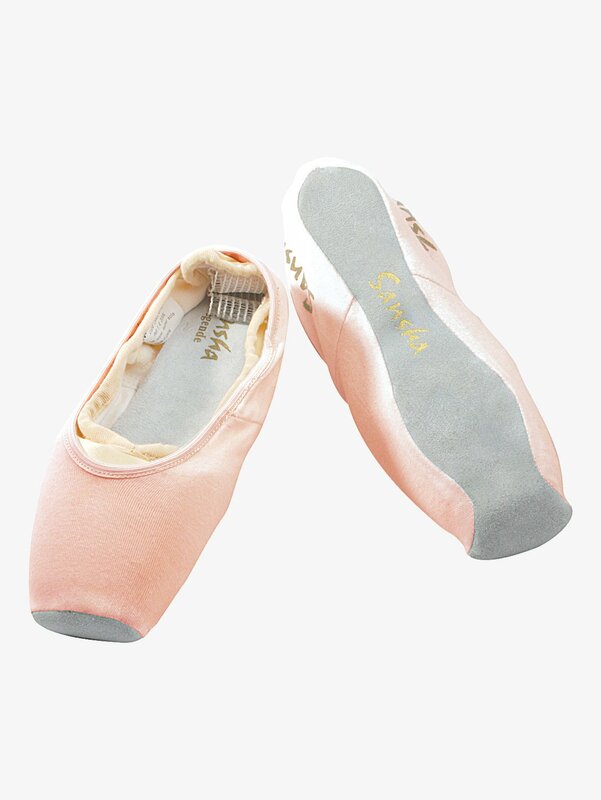 Sansha Adult Pointe Shoe Covers PSOP1: Sansha's suede bottomed covers will provide optimal care by protecting your pointe shoes before and after class. 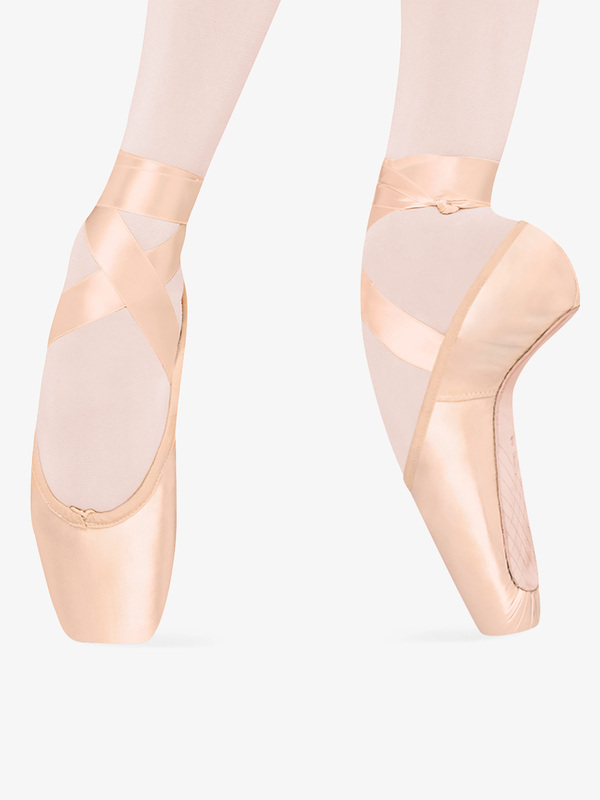 Suffolk Bolt of 1 Woven Elastic 1515: 1-inch wide bolt of elastic to sew your pointe shoes. Matches Suffolk brand pointe shoes. Size: 36 yds. 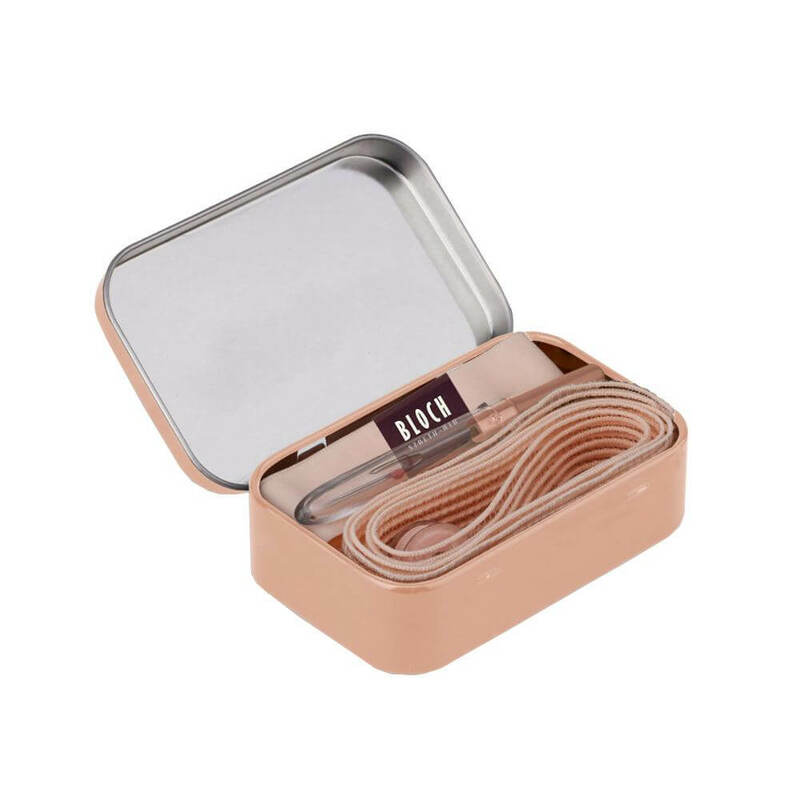 Suffolk Sewing Tube 1525: This sewing tube by Suffolk contains waxed, 100% nylon thread, two sewing needles, and a self-contained stainless cutter. 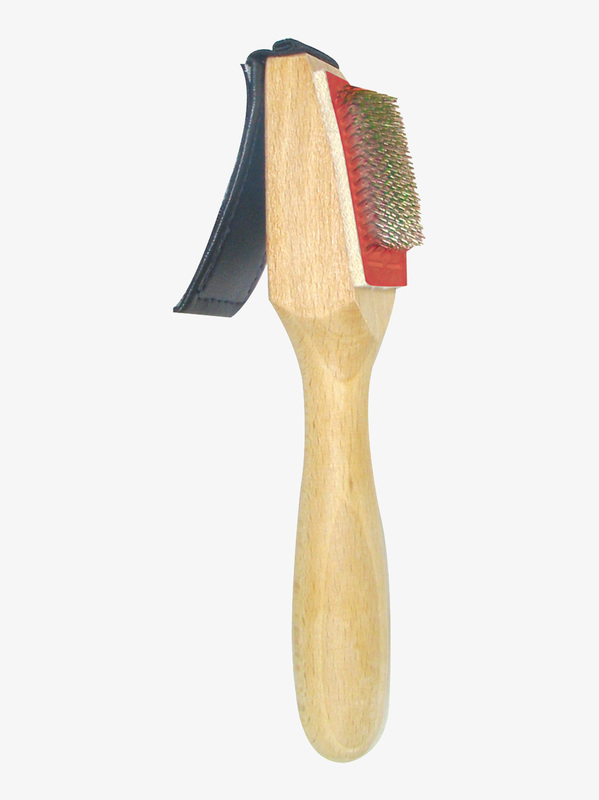 Cutter made to not dull, allowing for a clean cut with each use. 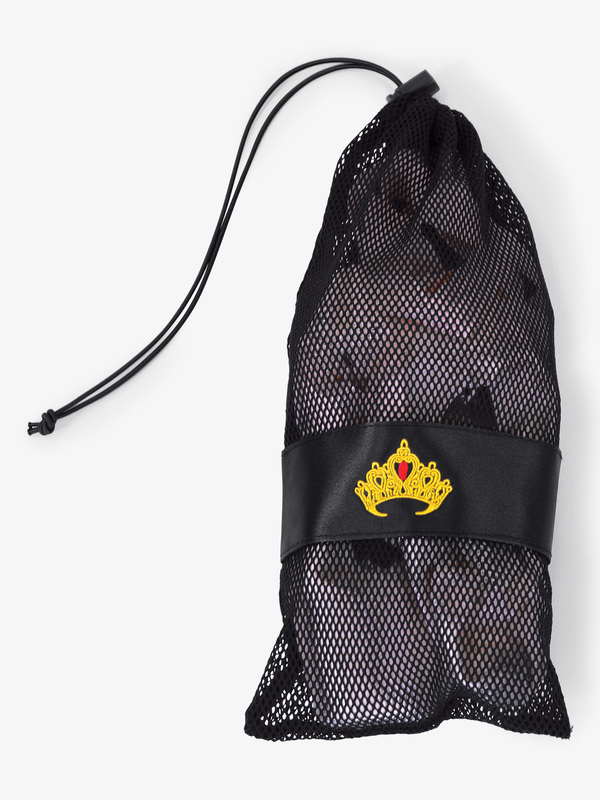 A dance bag must-have! Size: 78 yds. Theatricals Child Tap Ties TT90357: A pair of elastic ring tap ties with a back black bead fastener and an adorable attached tap shoe decoration. 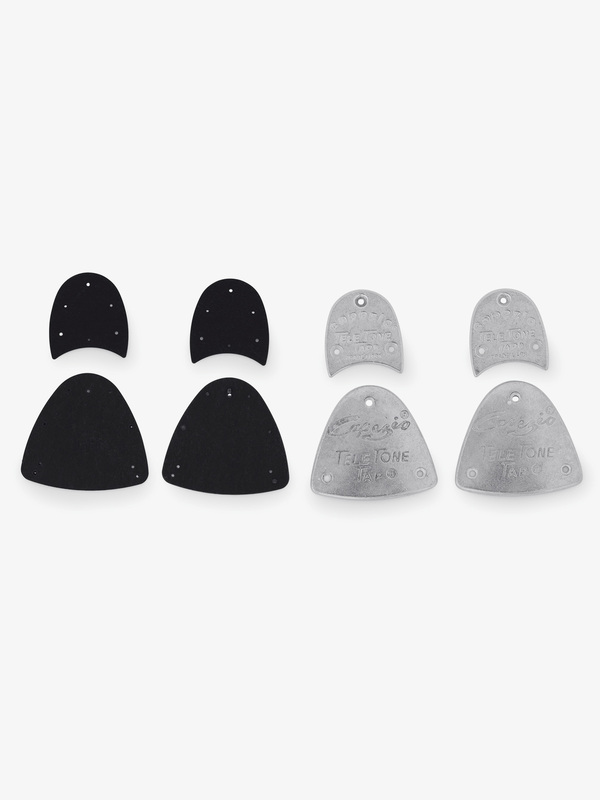 Perfect for keeping tap shoes (T9015 and T9015C) in place when dancing. Teachers won't have to stop to tie ribbons during class! 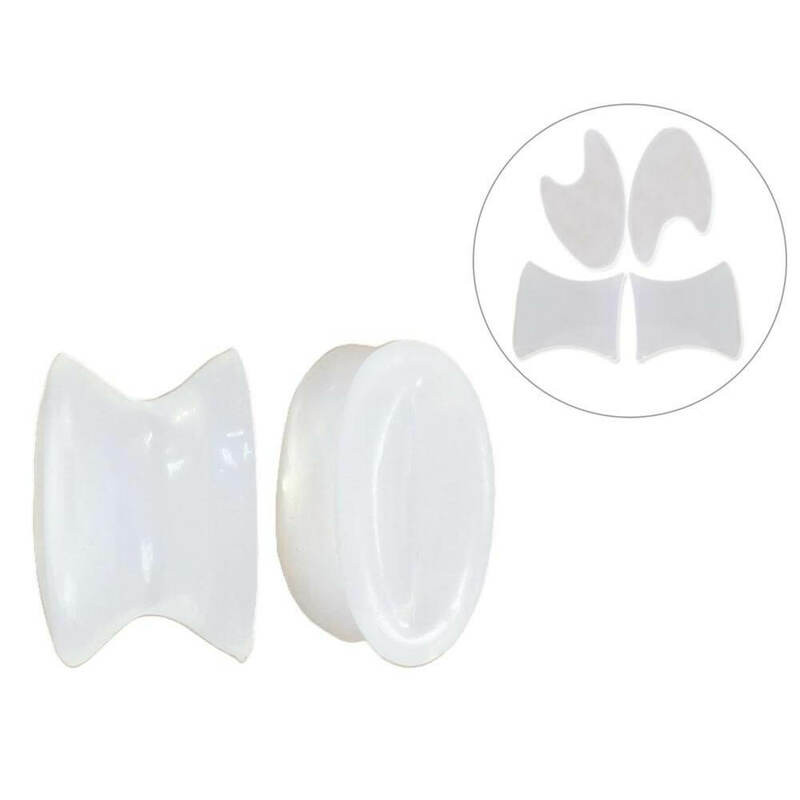 Supadance Heel Protectors for Contour Heels: Package of 5 Pairs. Balera Rosette Shoe Bow - many colors available: Satin rosette shoe or hair bows with jeweled center. 1 pair. Imported. Balera Shoe and Hair Bow: Small tricot hair and shoe bows with matching jewels are set on elastic bands. Great as tap ties, too. 1 pair. Imported. 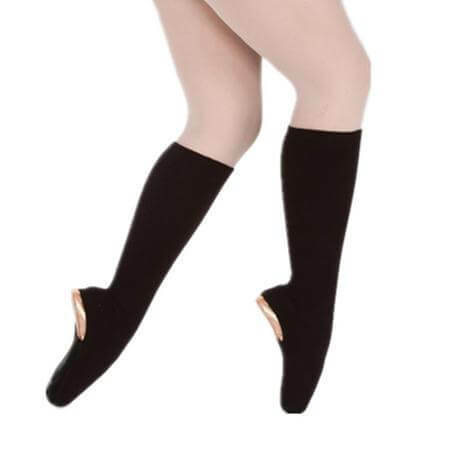 More dance shoe and foot care products for dancers at Discount Dance Supply.